8th Street Bridge: Remember the Alamo! Hello all. I'm sorry it's been so long since I last posted. Now that school has started I have less and less time to do things. Anyway, last weekend we went down to San Antonio to meet Erin and Amanda for the weekend. It was about a 3-hour drive and on the way we saw all kinds of emergency and evacuation vehicles headed towards New Orleans to help the residents evacuate the city. Nearly 200 charter buses, 200 school buses, 100 cargo vans and 100 ambulances passed us heading East on I-10. We were a little worried about leaving for the weekend, as they were still not exactly sure where Gustav was going to hit when we left. B ut our neighbors and our work colleagues were all fairly confident that the hurricane was going to miss us, so we decided to hit the road for San Anton! When we got there it was all ready after 5 pm. I had to work earlier in the day, so we got a late start. Our hotel was right downtown convenient to the famous Riverwalk and to the Alamo as well. Originally named the Gunter Hotel it was bought by Sheraton a few years back. Luckily it maintains all of its old world charm and still has the original switchboard, mail slots, chandeliers, crown moulding and beautiful woodwork. It was a very nice place to stay for the weekend. 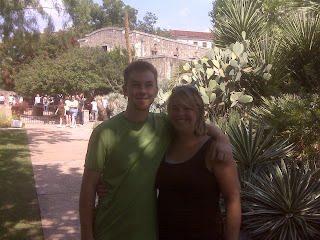 We were able to walk anywhere we wanted to in downtown San Antonio. After checking in we headed down to the Riverwalk to check it out. It was PACKED! Being Labor Day weekend and all, we knew it would be busy, but there was barely room to move! There are a variety of shops and restaurants on the Riverwalk, many of them local to the area or to Texas. They also offer small dinner boat and tour boat rides through the area. We settled on a Mexican restaurant for dinner, claiming to serve "authentic Mexican", which turned out to be rather disappointing. The food was sub-par at best and the service even worse. After our meal we walked around some more and passed many other Mexican restaurants that looked MUCH better than the one we had chosen to dine at. We ended up walking almost the entire Riverwalk, which is unique because it is actually below the street. We decided to head back to the hotel, as we were getting up early the next day to go tubing. It just took us awhile to find our way back to the hotel! On Sunday we were up bright at early at 8 am, to begin our tubing adventure. 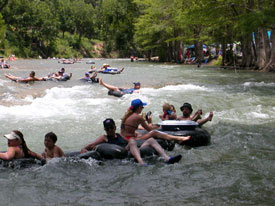 We have heard from most people that the "initiation" into Texas consists of tubing down the Guadalupe River for the day. 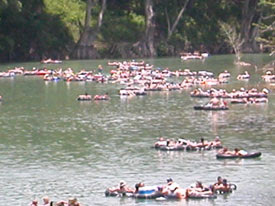 You are allowed to bring alcohol, so usually a large group of people gets together and brings coolers, food, radios, you name it and floats down the river for a day. The tubing location was about 1 hour north of San Antonio, so we stopped at IHOP on our way out of town to fill up on breakfast. Once we got into the Canyon Lake area where the tubing site is, we decided to go to a local gas station for some beer. Well, it was before noon and there were people lined up with beer in their hands waiting for the clock to turn 12 so they could buy their beer! It was pretty funny actually. Erin and Jason decided on a 6-pack of tall cans, while Amanda and I (smart girls that we are!) opted for water. Once we got to our tubing company's site we put on our water shoes (so nerdy!) and with cooler in tow, went to get our rafts. It's funny, they actually rent out coolers and rafts just for coolers. Erin and Amanda were smart and brought bungee cords with them so that we could hold our rafts together. We had the option of a smaller tubing trip which would be about 1 hour, or a longer one at 4 hours. We decided on the 4-hour trip and were all really pumped to get into the water! When we got to the docking area with our tubes we had to wait in line a little bit to get in the water. There had to be ATLEAST 500 people all ready in the water with beers in hand. The river was moving rather slowly so people were really close together in a giant mob. The water was freezing, so it made it hard to get comfortable when we were in the tubes. After awhile my thighs, which were in the water, actually went numb and turned red from the cold. The river is spring fed, which keeps the temperature cool all year round. It was a beautiful sunny day though, and luckily none suffer ed sunburns. We kept reapplying sunscreen so we all stayed safe from the sun's rays! The river had some rapids and some chutes on it, which kept things interesting. We hit one set of rapids that was very strong and it actually separated my tube from everybody else's and got me caught in some rocks. I had to jimmy my way out and I went cruising down the rapids. Jason had to hold his arms out and catch me or I would've been much farther upstream than the others! After we were done rafting we headed into New Braunfels in search of some good German food. It is a town that was established by German settlers over 150 years ago. Many of the towns residents are ancestors of the original settlers and just never left. New Braunfels is home to the world famous Schlitterbahn water park, which we are looking forward to trying out one of these weekends! We found a fabulous G erman restaurant called Oma's House. The food was amazing! We all ate until we thought we might explode, and then we split dessert. 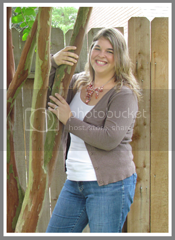 :) After that we headed back into San Antonio. We decided to check out the Riverwalk again and found a Margarita Bar that looked promising. Everybody was very tired after our day in the sun, so after 1 margarita we decided to head back to the hotel to get some sleep. On Sunday we got up and had breakfast at a restaurant on the Riverwalk. The hotel concierge had promised Amanda it was very good food. It was definitely not. Again, sub-par. We definitely struck out on food down there! 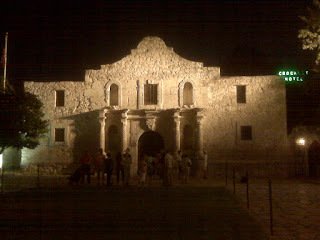 After eating we went to check out the Alamo. Most people we have talked to said that it wasn't anything special and there wasn't anything worthwhile to see. But it still had some original buildings and they did a great job with the grounds and gardens. There was also all kinds of history available to read and also a really cool exhibit in the Bowie knife, or Arkansas Toothpick, as some like to call it. (Jim Bowie died at the Alamo). They also had display's of Davy Crockett artifacts, including guns, diaries and clothing he had worn. The mission was beautiful and it made me sad to think of what happened there. I should also note, that this site holds great meaning to many Texans, as it is a symbol of Texas freedom and of the Republic of Texas. It helped me to understand why so many Texans call themselves Texans instead of Americans. They were afterall, their own country, even if it was for just a short time. They fought hard for their freedom and are still proud of it today. 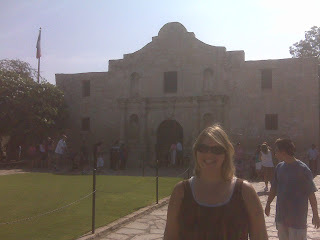 We spent a few hours at the Alamo, and then decided to head home. It was in the 90s and we were all roasting. All in all, a great weekend! We are trying to decide what our next adventure is going to be. I am thinking white water rafting, Texas style!